First we find a bar code sculpture and now a building! Not just a building but, more accurately and appropriately, a shopping center. The architects behind the building are the Russian firm Vitruvius and Sons. The Bar Code building or Shtrikh Code, which houses shops and offices, is located on the bank of the Neva River in St. Petersburg. Its bright red façades are hard to miss among the mostly gray landscape. 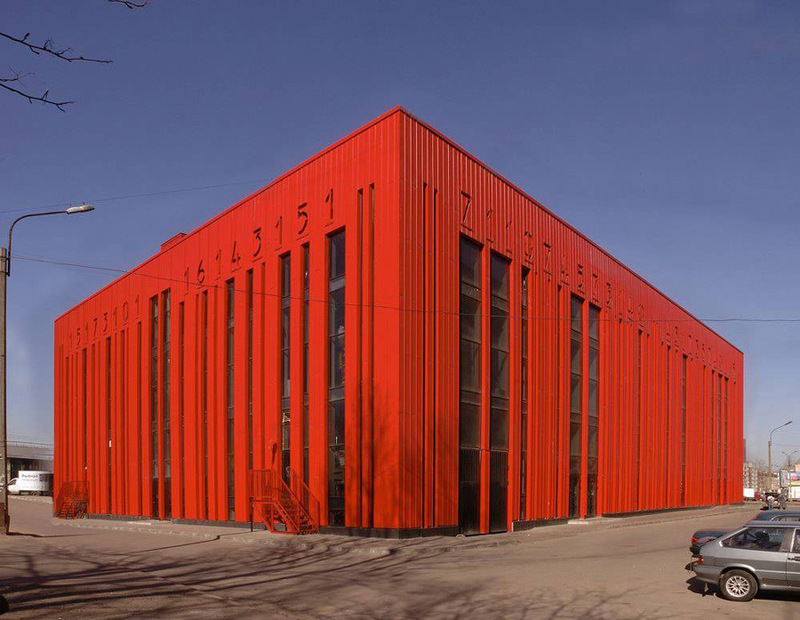 Though completed in 2008, the building was recently entered in the Wan Awards 2011 under the ‘color’ category.